S T O P the LES SCHWAB TIRE operation from destroying neighborhood’s character and bringing constant noise, chemical waste, traffic and pedestrian safety issues! 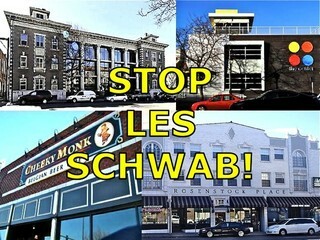 LES SCHWAB is planning to open one of their auto shops in the midst of residential buildings, offices and small businesses – corner of Ogden Street and Colfax Ave – a highly pedestrian block of Colfax and NEXT DOOR to RESIDENCES and OFFICES. This type of industrial operation undermines neighborhood efforts to improve the area for residents and small businesses - for instance, we have invested in BRAND NEW trees and streetlights promoting a pedestrian community. 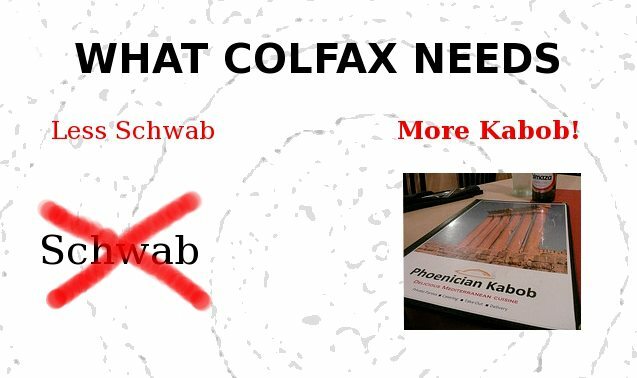 - TRAFFIC SAFETY– there is no easy access to the planned auto shop – it is not accessible to eastbound Colfax traffic without crossing a median. - TRAFFIC CONGESTION – this is not a business that promotes a pedestrian community – it is an operation that will bring cars from outside areas to pollute and congest. Traffic will spill into parallel residential streets some with heavily enjoyed bike lanes. - PEDESTRIAN SAFETY – constant car ingress and egress will pose risk to heavy pedestrian use on this block – that includes children from nearby school. - NOISE POLLUTION – this type of operation will disrupt nearby offices, business and condos. - AUTOMOTIVE SHOP CHEMICALS NEAR OFFICES AND RESIDENTIAL BUILDINGS – massive use become now constant neighborhood sources of risk and stress. - HIT TO PROPERTY VALUES – this SCHWAB automotive operation will impact value of surrounding properties. Please sign this petition NOW and make a difference. Send it to all of your friends, family members, businesses and neighbors – to everyone who cares about the present and the future of our neighborhood, our families and our children. Kerouac's 'On The Road' is finally a movie! The Congress is in session!